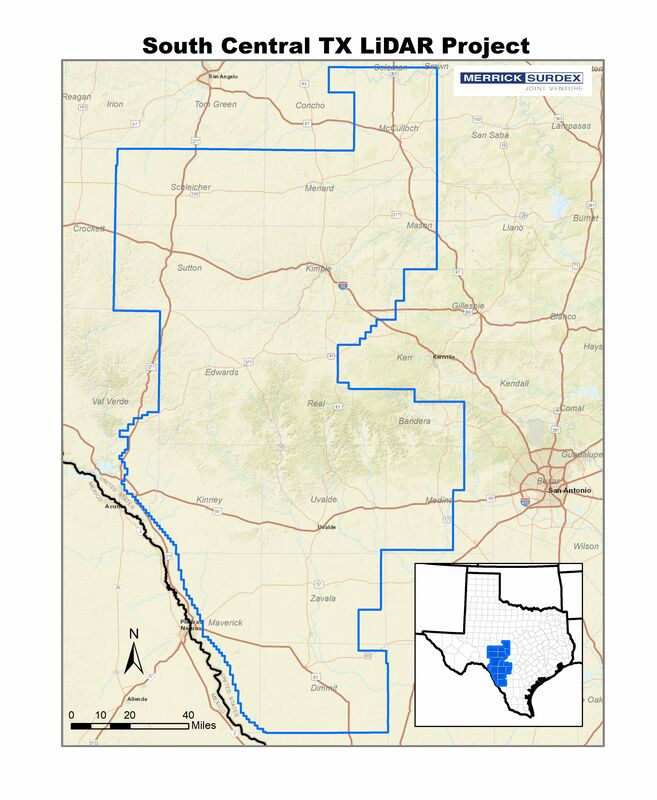 In 2017 the USGS selected the Merrick-Surdex Joint Venture to collect and process LiDAR data of approximately 17,950 square miles in Southwest Texas. 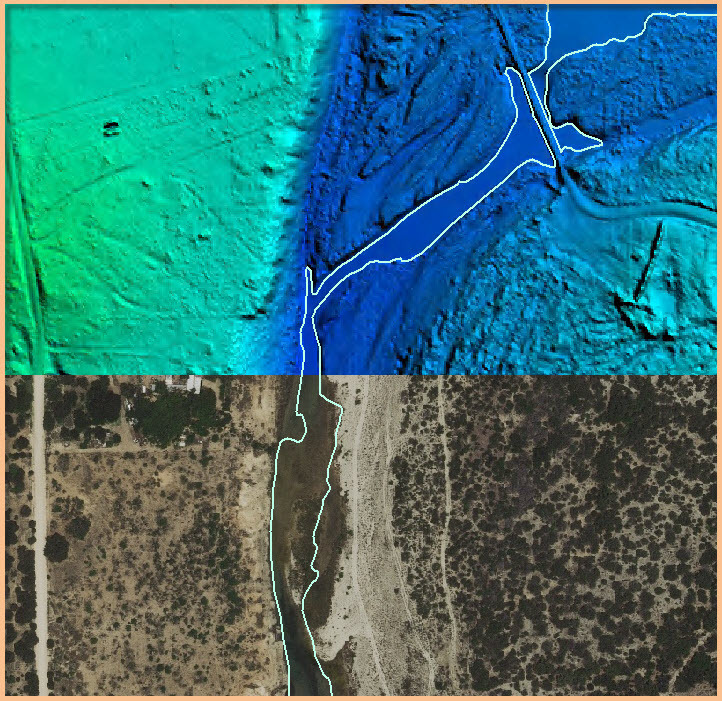 One of the funding partners to the project, FEMA, required new elevation data in order to reclassify older hydrographic features to improve flood map accuracy. The data will be used to assist in risk management of potential flooding areas, due to significant shifts in precipitation over the past decade. The State of Texas has experienced a nearly decade-long drought; in February 2018, nearly 90% of the state was under a drought warning. Within one year, these conditions shifted dramatically – in 2018, rains had been so persistent and heavy that by October less than 5% of the state was under a drought warning. This sudden increase in such a large volume of water has created a scenario with a notable risk of overflowing and flooding of once-dry riverbeds. The state consequently switched from a drought status to a situation of potential widespread flooding, with all the subsequent possibility of damage. FEMA and Texas Water Development Board (TWDB) anticipating the effects of such a situation, initiated a project with the USGS to obtain data to manage this new condition. The Joint Venture’s effort towards the collection of hydrographic features was designed to exceed the USGS project specifications and to ensure map accuracy so that hydrological events could be monitored with confidence. Production staff invested a higher than normal amount of time and effort to identify stream banks that have been undefined by water for years due to drought. According to version 1.3 of the USGS LiDAR Base Specification, the minimum width for the collection of inland streams and rivers is 100 feet however due to the low water levels there are multiple instances where these features were as narrow as 10-15 feet and ordinarily would not have been collected. In several cases, widths varied considerably along the same stream, and had the only the portions of rivers/streams greater than 100 feet been collected, it would have resulted in disconnected networks of drainage. Additionally, several lakes/ponds would have been omitted for not meeting the minimum two-acre size criteria. These conflicts of elevation in the hydro-flattened Digital Elevation Models (DEMs) would have limited the data usefulness to all agencies. The process chosen will ensure map accuracy and hydrological events could be monitored with confidence. This enhanced data will be used by many agencies such as the USACE, TWDB, and NRCS to verify information required for river level management. 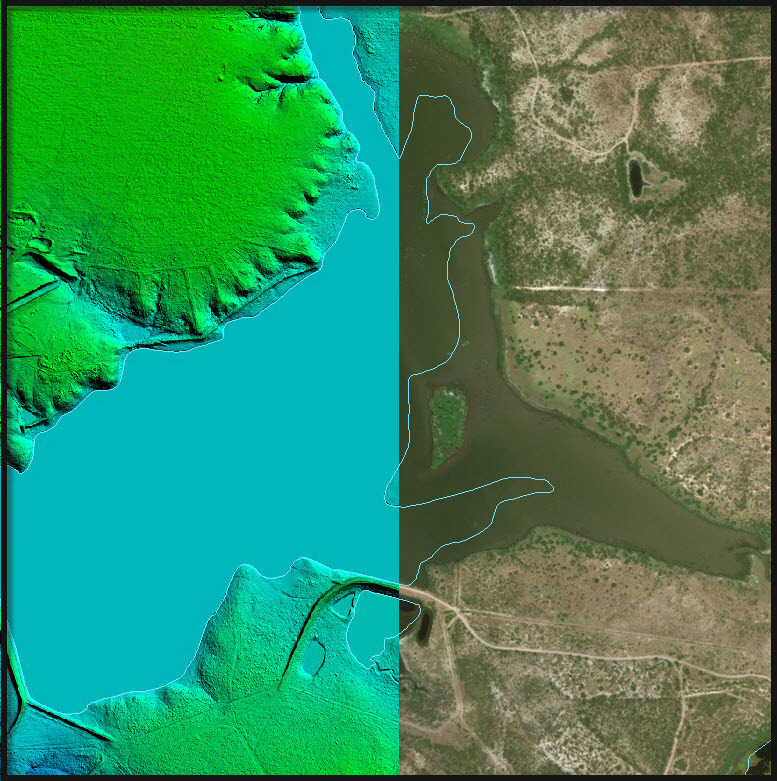 The graphics provided illustrate the comparison of water levels at the time of LiDAR acquisition against natural color (RGB) aerial photography flown during normal conditions.